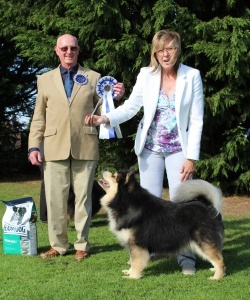 At the Finnish Lapphund Club of GB open show – we had an amazing day, culminating with Matka and Uka taking the top spots under Terry Munro. 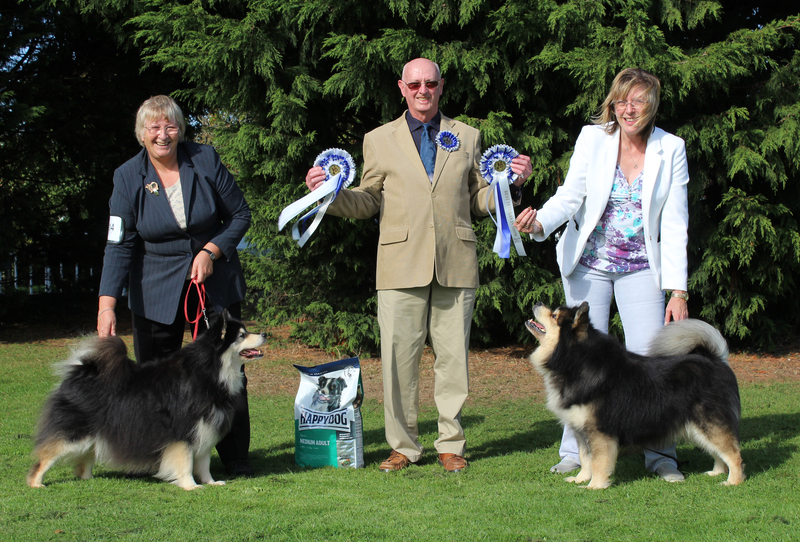 Multi Champion Elbereth Matkamies ShCM started the day winning the veteran dog and the Good citizen dog classes and Lecibsin Ukas to Elbereth won Post graduate dog handled by Sam Moore. 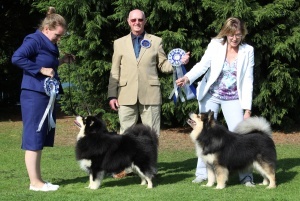 Have to say Ukas seemed to finally get the show idea and was standing like a rock and showing his socks off. 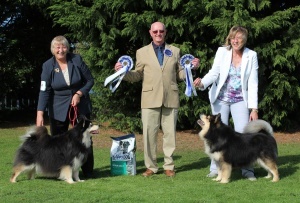 In the dog challenge, Matkamies was awarded Best Dog, and Ukas reserve best dog.